Welcome to Suisgill, a beautiful Scottish Highland estate near Helmsdale in Sutherland. Situated in the Strath of Kildonan in the remote far north of Scotland, but just an hour and a half’s drive from Inverness airport, there is no better place to get away from it all. Whether it is a sporting break you are after, a family holiday or a romantic getaway, you will receive a warm welcome when you come to stay at one of our comfortable self-catering holiday cottages and will be spoilt for choice for things to do while you are here. 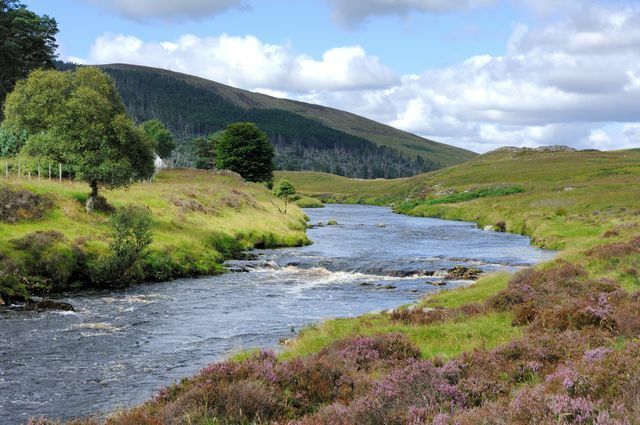 Running alongside the banks of the famous River Helmsdale, Suisgill is a mecca for salmon-fishing enthusiasts, and red deer stalking, grouse shooting and trout fishing are also available on or near the estate. Walking and wildlife-spotting opportunities abound and the area is also popular with gold panners hoping to strike it rich at Baile an Or, the site of the 1869 Great Sutherland Gold Rush. If it is tranquillity you are after rather than action, just sit back and enjoy the view; with the wide-open spaces and dramatic seasons, you cannot fail to be amazed by the spectacular scenery, both on and around Suisgill.